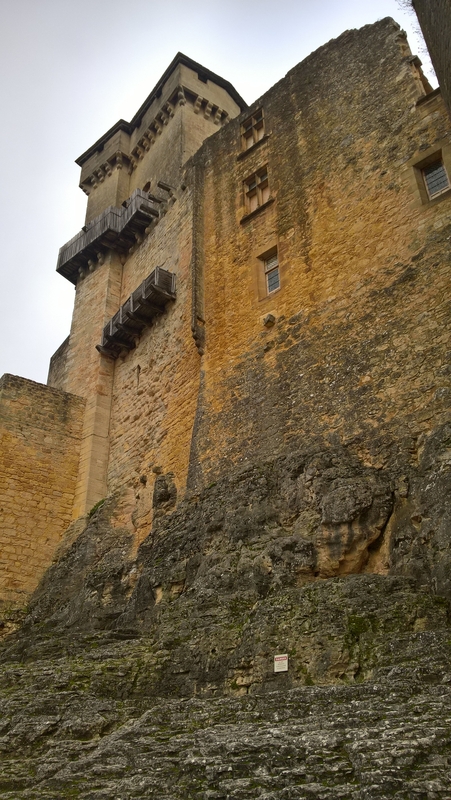 The chateau of Castelnaud is a towering fortess in a commanding position overlooking the Dordogne River in France. 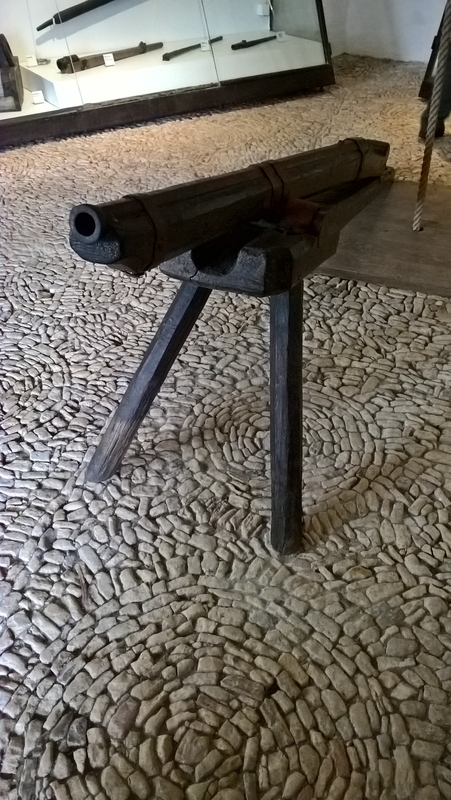 It is open to the public all year and contains some fine displays of weaponry from the Middle Ages. 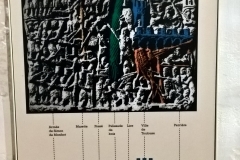 The earliest records to mention the castle date to the 13th century when was held by Bernard de Casnac, who supported the Cathars, whose dualist religious beliefs led to them being labelled heretics and persecuted by the Catholic church. 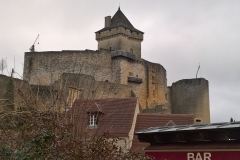 In 1214, the castle was seized by Simon de Montfort, then retaken by Bernard de Casnac, but it was later burned down by order of the Archbishop of Bordeaux. 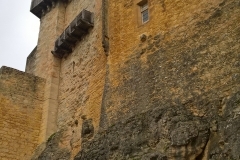 The fortress was steadily rebuilt, the only traces of these early phases of building are the square keep and the curtain wall. 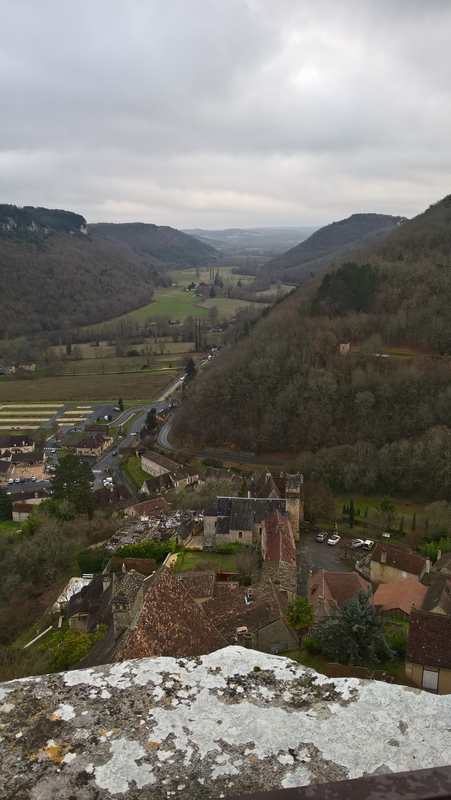 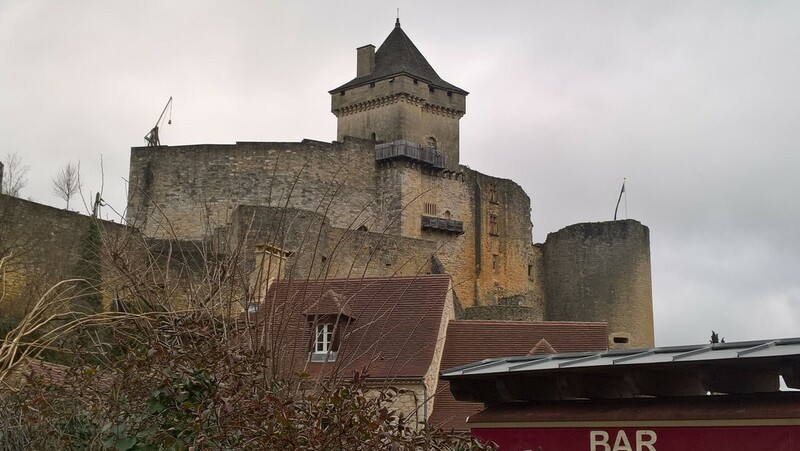 During the Hundred Years War, the castellans of Castelnaud supported the English, whereas its opposing fortress, the even more impressive Beynac was loyal to the French. 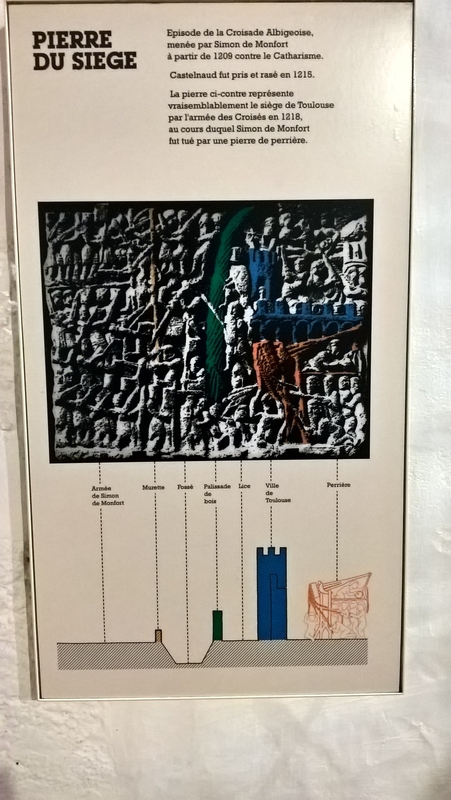 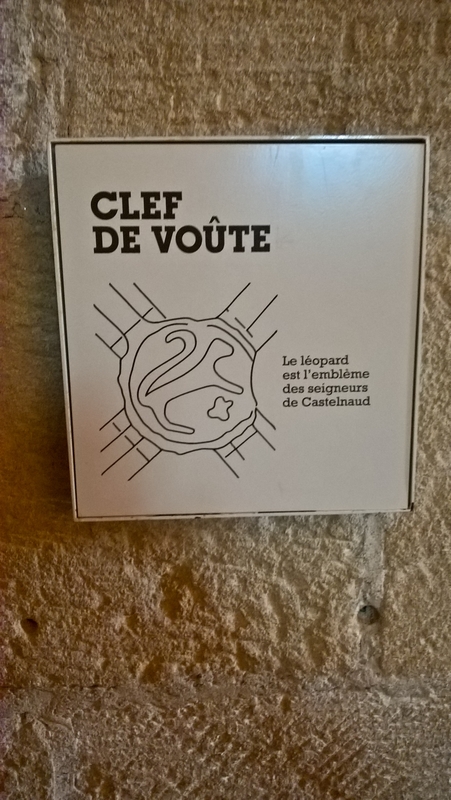 At the end of the Hundred Years war, the Caumont family took the castle and reconstructed it, protecting the lower bailey by two semi-circular towers and a large new main building was erected beside the keep. 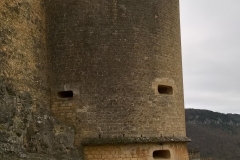 In 1520, the impressive artillery tower was built. 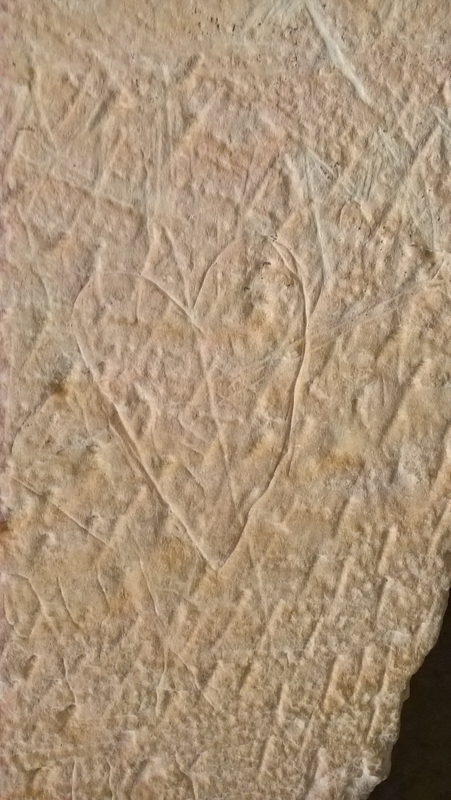 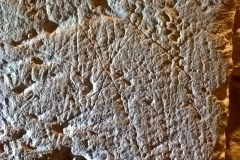 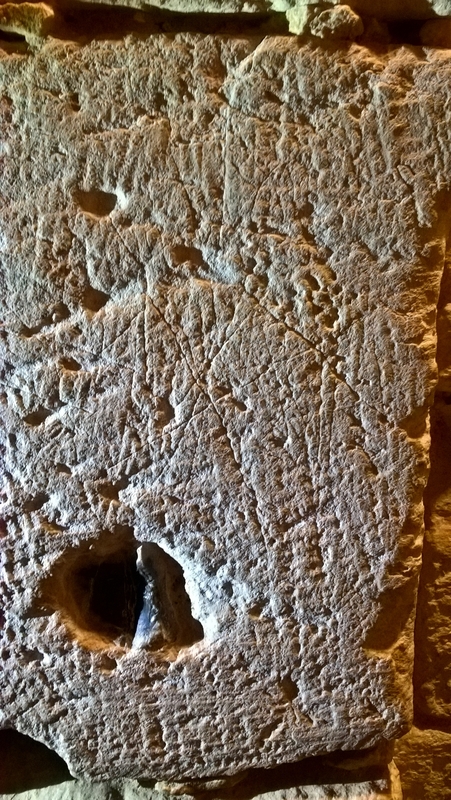 This tower contains some of the most interesting marks found in the castle, as series of small compass-drawn circles, many of which overlap. 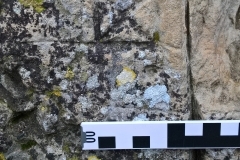 On the opposite side of the window opening is a cross in a square that might form part of a possible merel. 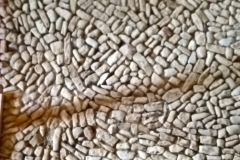 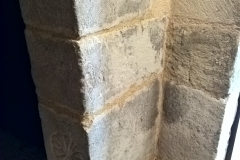 These are all on original stonework rather than anything added during a later restoration. 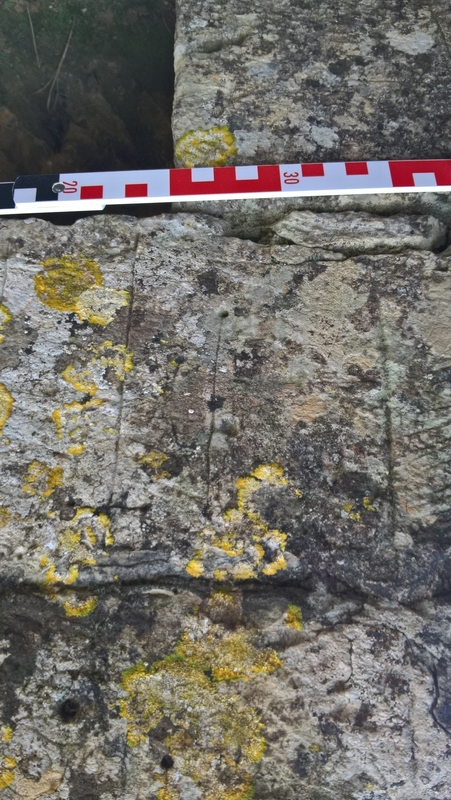 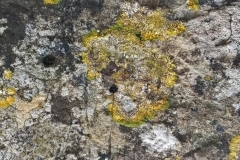 Their position is now open to elements and they are covered with lichen, but are likely to have been internal originally, and beside a window. 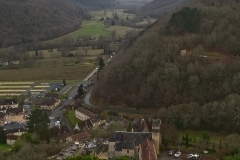 The Caumonts became Protestants and the castle was staunchly defended against the Catholics during France’s bitter Wars of Religion (1562 – 98). 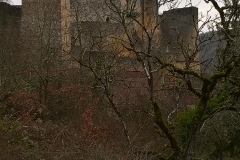 After the French Revolution of 1789, the site became neglected and was rapidly overground and soon became a stone quarry, where it was easier for those building a new slipway for the village’s riverside port to roll stone from the southern side of the castle down the slope rather than go to the trouble of cutting new blocks. 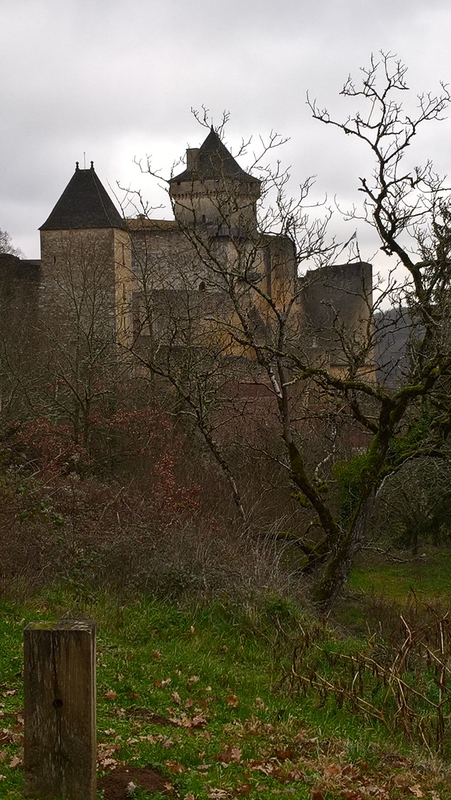 In 1966, the castle was listed as a Historic Monument at the request of its owners, the Rossillon family. 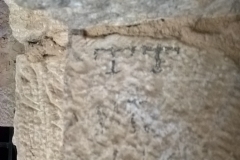 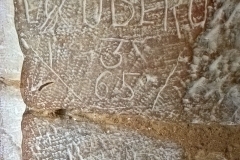 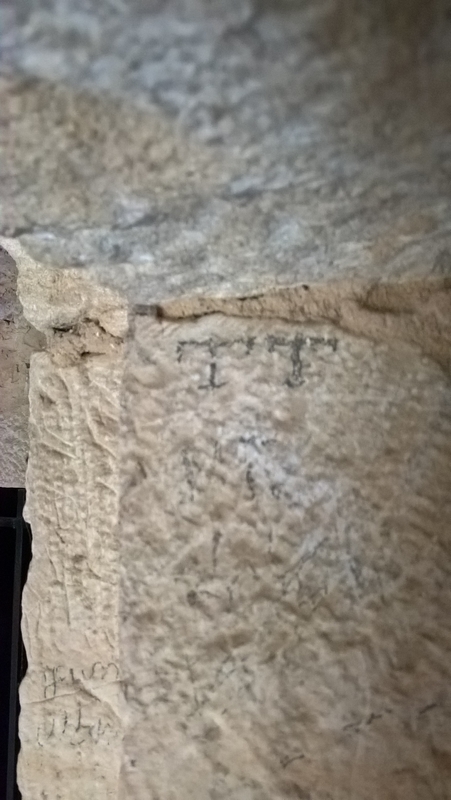 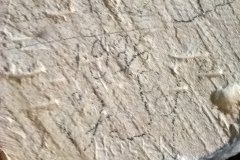 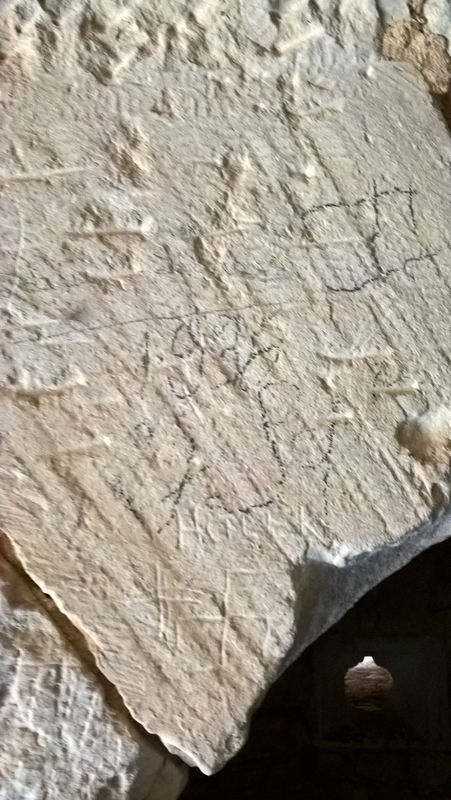 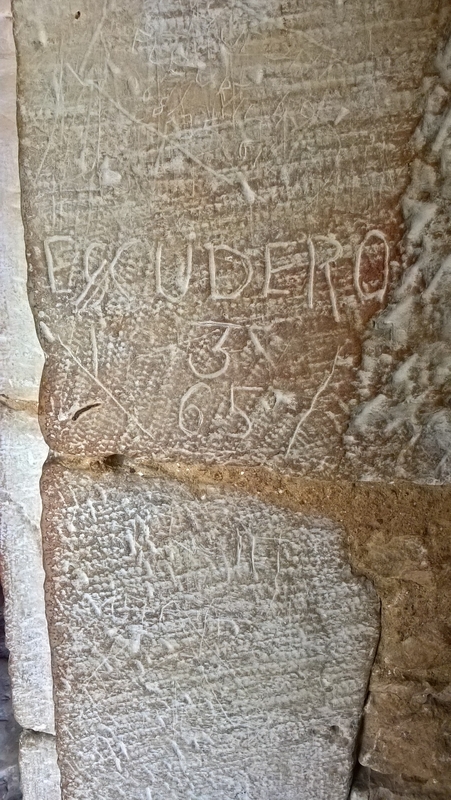 The current tour of the castles starts at the base of the artillery tower, where some names and initials can be found, both engraved and written in pencil, in addition to some other marks, including a butterfly cross and a swastica, with Hitler, above it. 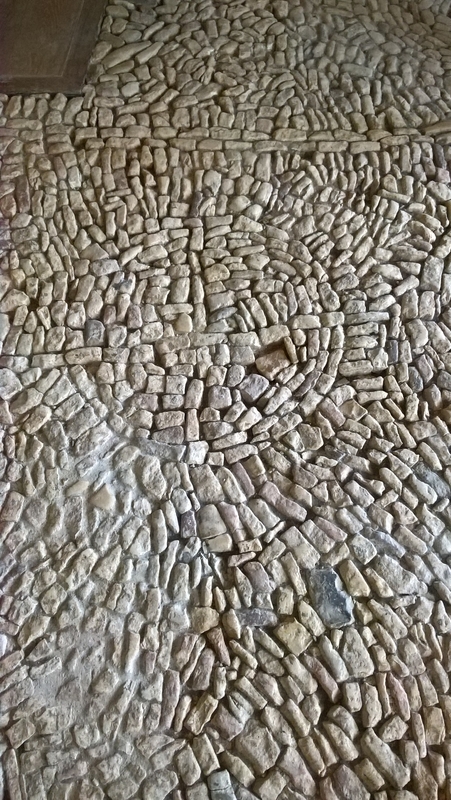 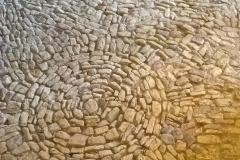 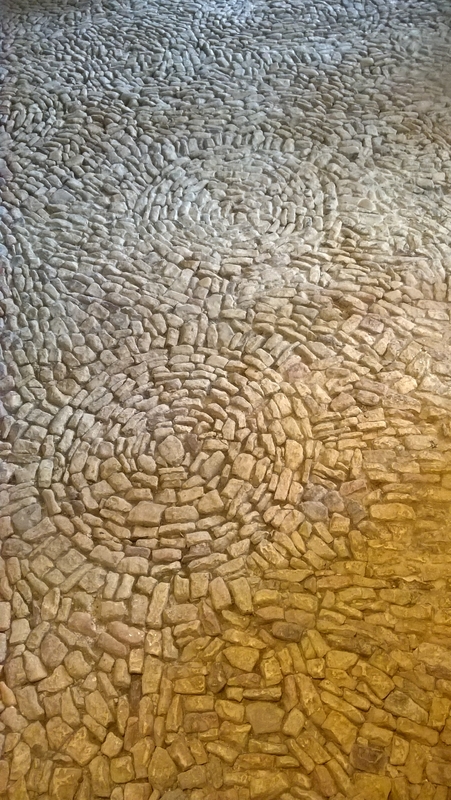 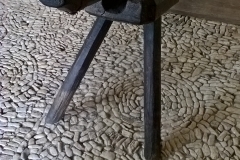 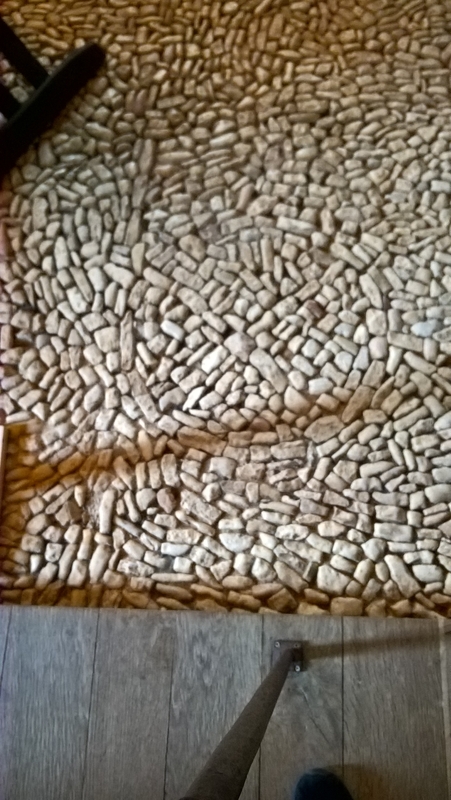 The third level of the artillery tower has a fine example of a pise floor, formed by small blocks of stone, often arranged in decorative patterns of daisy wheels such as those seen in the chapel of the Chateau de l’Herm, the Chateau du Losse, le Maison Forte de Reignac and the Chateau de Jumillac, as well as the circles and crosses within circles seen in Castelnaud. 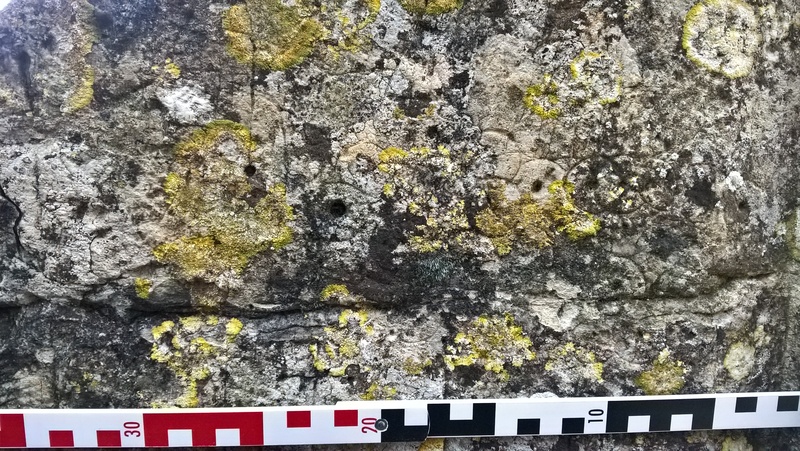 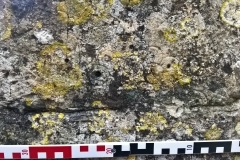 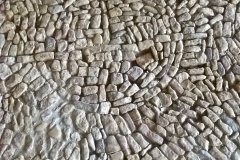 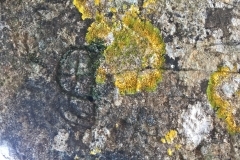 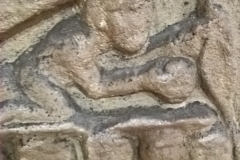 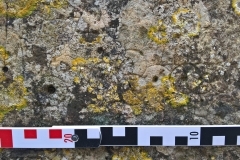 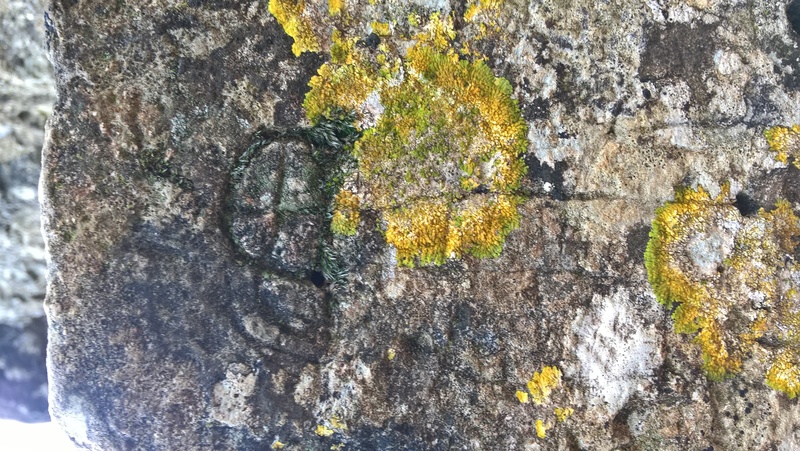 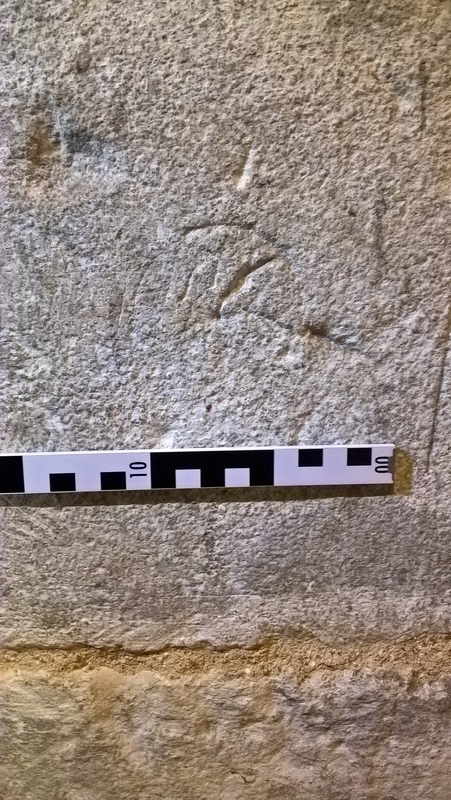 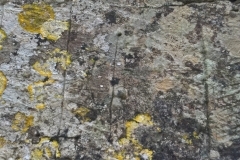 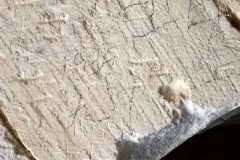 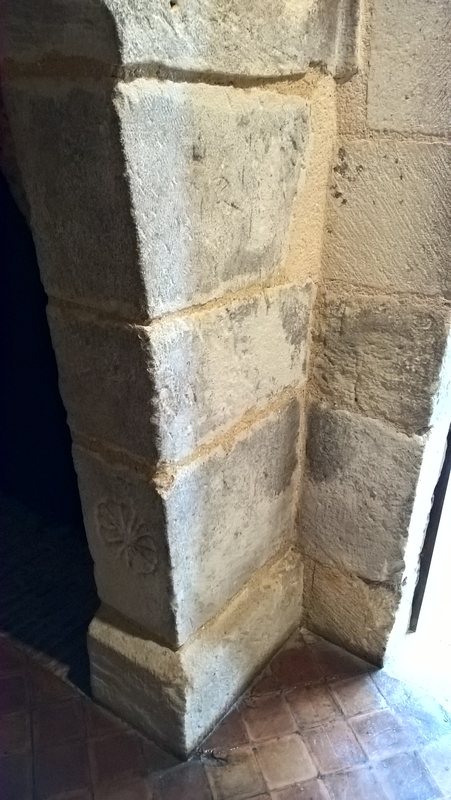 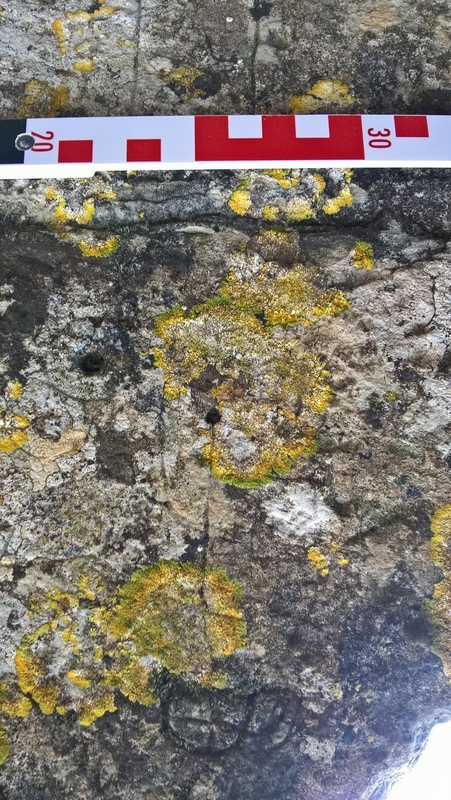 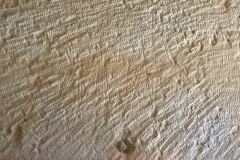 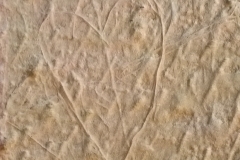 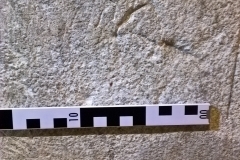 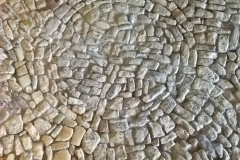 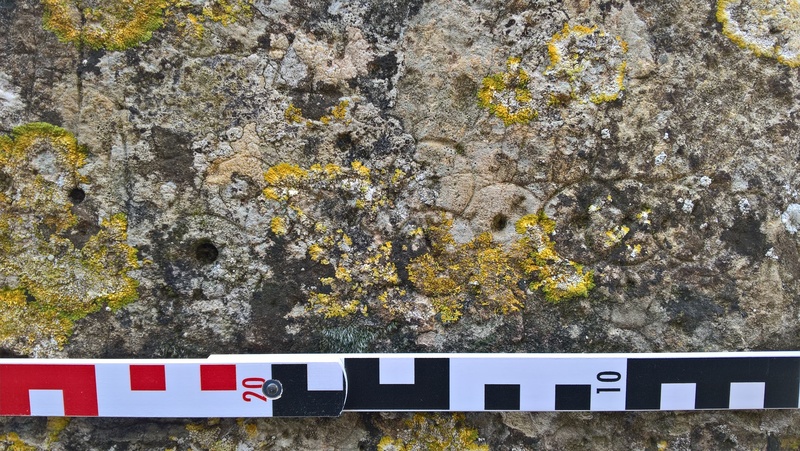 With the exception of the small overlapping compass drawn circles I was only able to find one other example of a compass drawn circle in the tower, on the side of a stone fireplace. 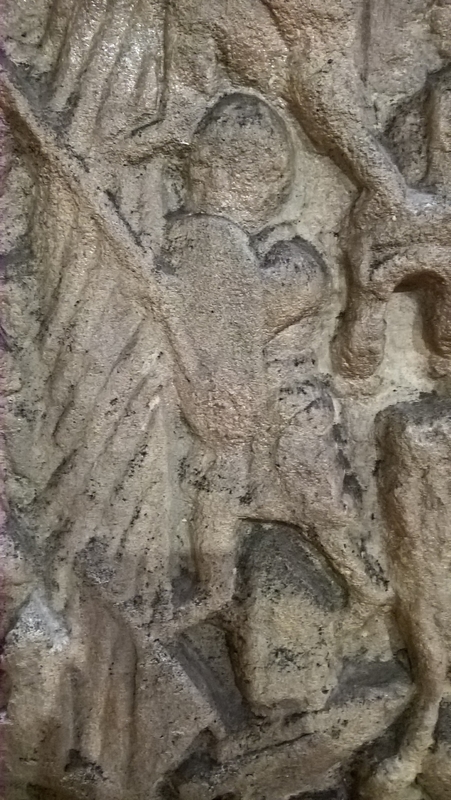 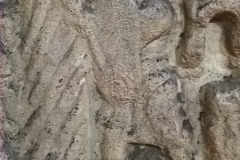 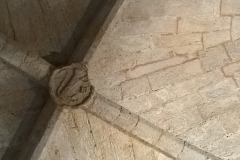 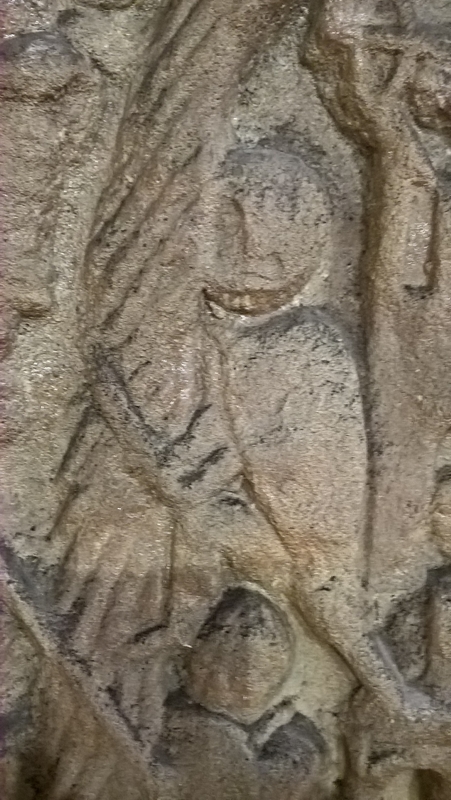 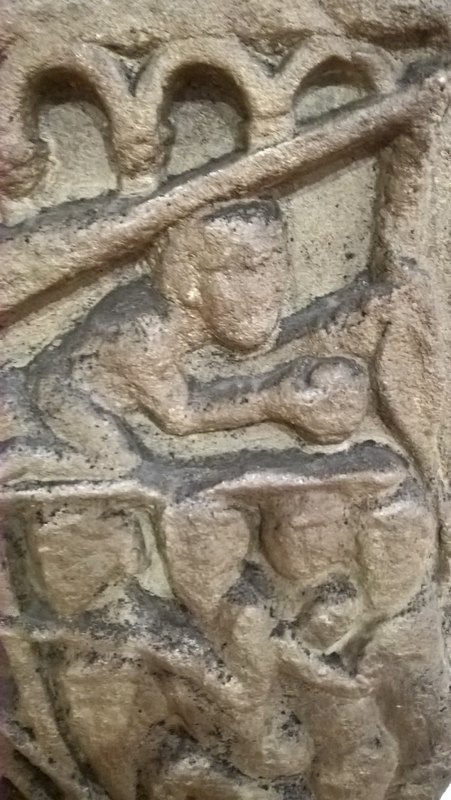 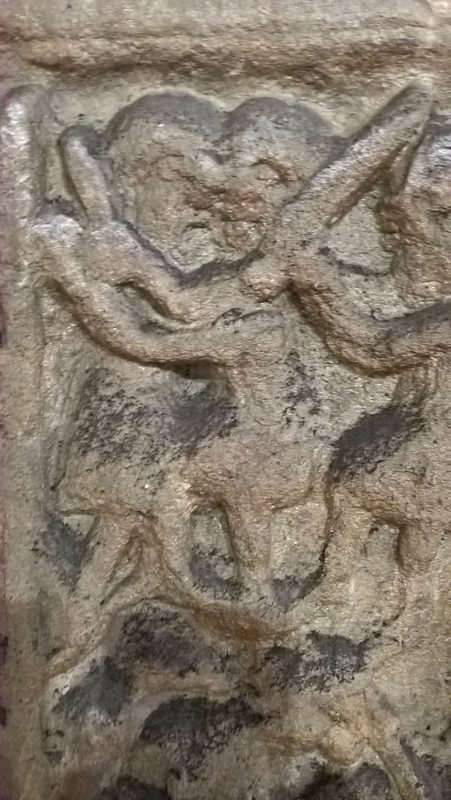 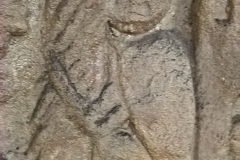 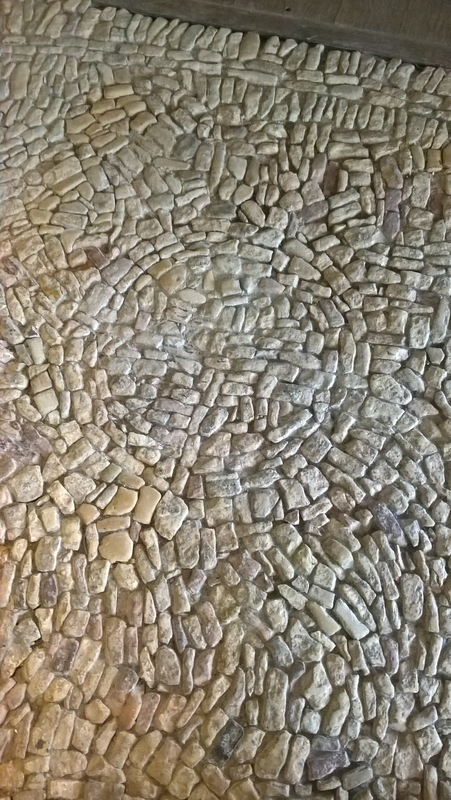 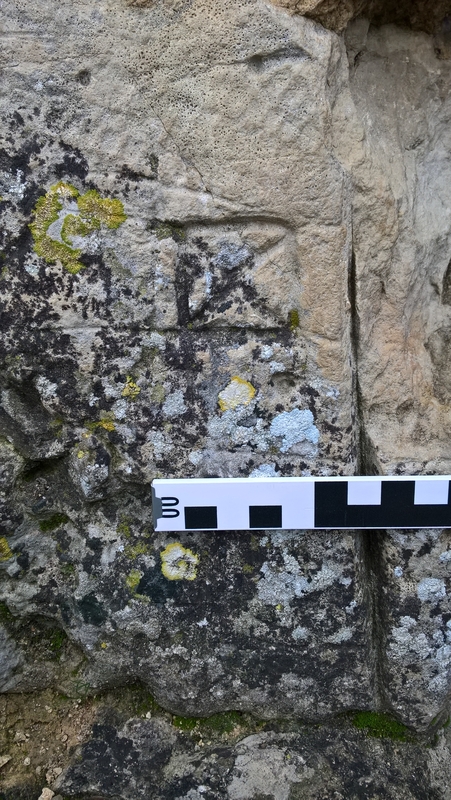 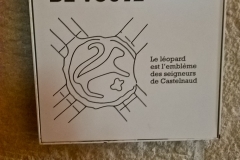 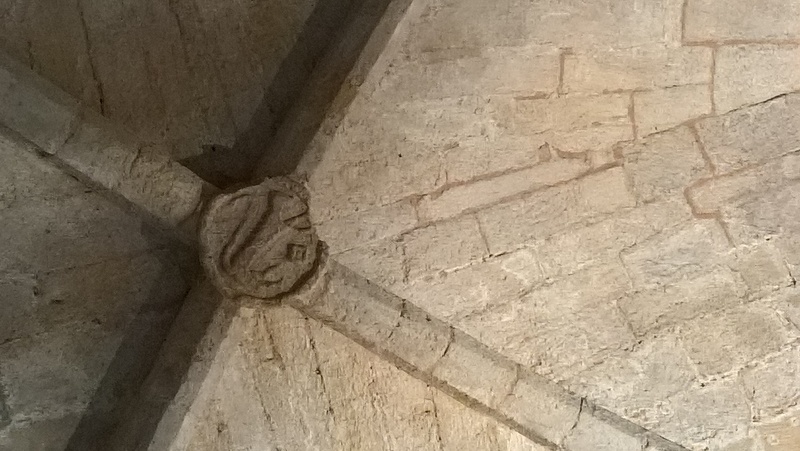 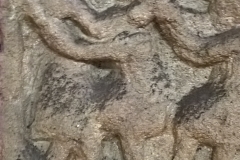 At the top of the keep is a stone keystone showing the leopard emblem of the lords of Castelnaud. 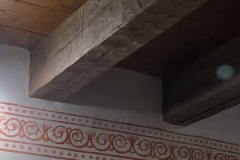 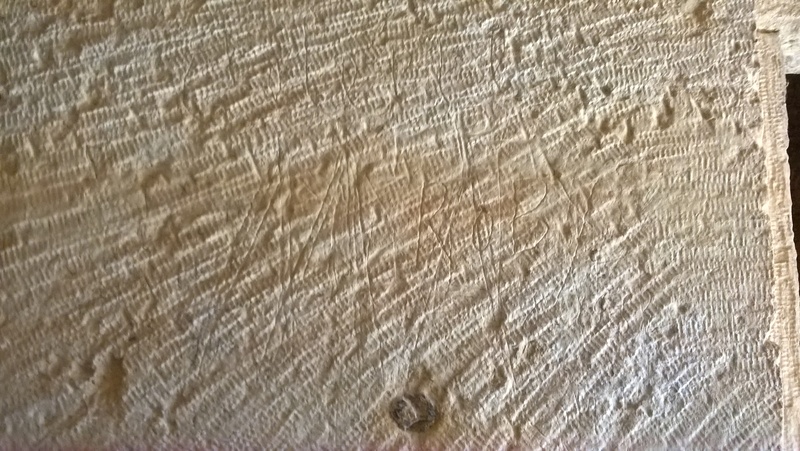 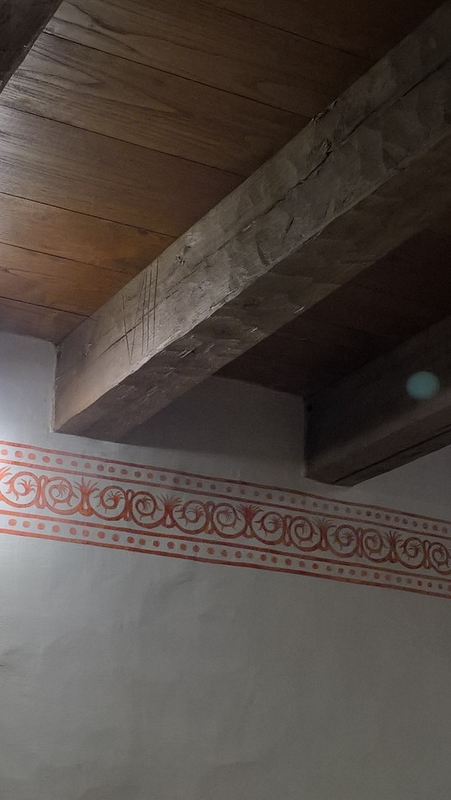 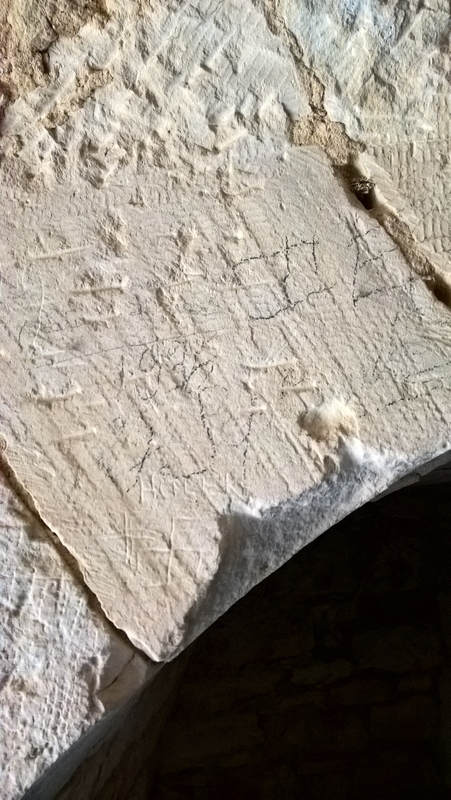 One of the rooms has wooden beams containing carpenter’s marks. 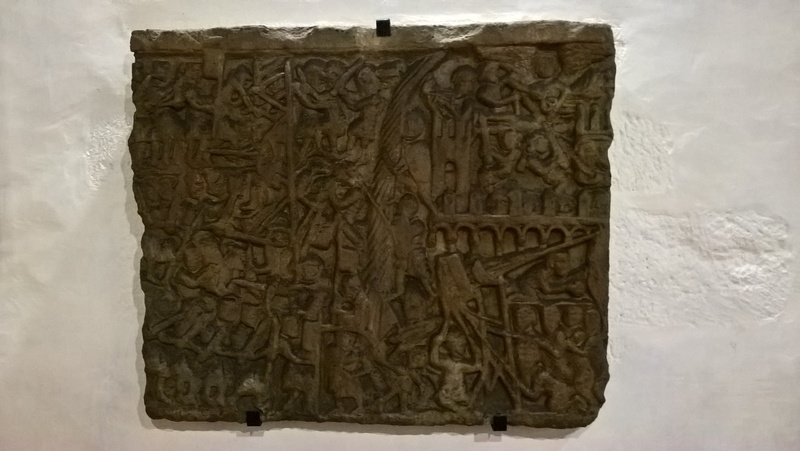 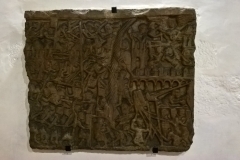 Another item of interest discovered in the stonework of Castelnaud is the large decorated block known as the Siege Stone, which depicts a scene from the siege of Toulouse in 1209 as part of Simon de Montfort’s crusade against the Cathars, during which he was killed by a stone thrown from the castle. 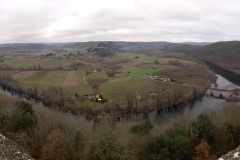 The castle is an excellent place for a day out in the Dordogne in summer or in winter. 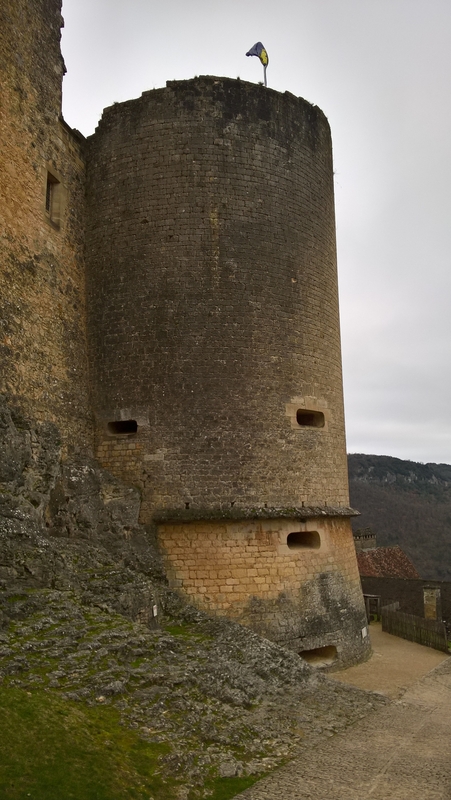 There is parking nearby, but in summer this will be very crowded.